Cook tortellini according to package directions. Toss with remaining ingredients. 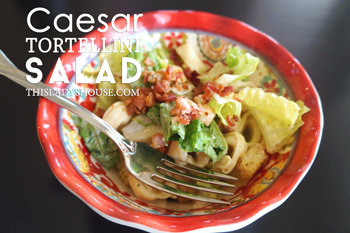 This entry was posted in Recipe and tagged Lunch, Salad.